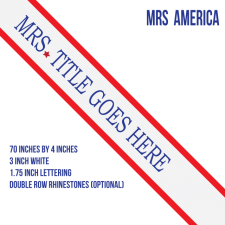 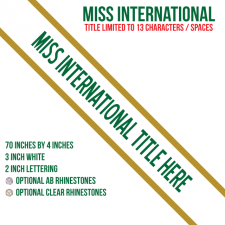 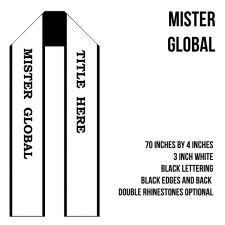 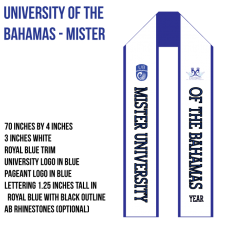 System-wide agreements with some pageants preclude us from showing you our deeply discounted rates for sashes. 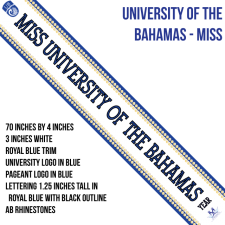 Please go to the appropriate system linked above for more information. 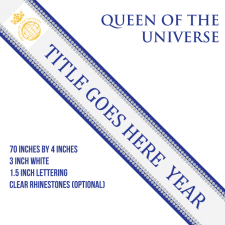 The official embroidered sash of the Queen of the Universe pageant, including the official pageant logo.